At Precision HVAC, our Dutchess County heating and air conditioning team have the knowledge, skill, and experience necessary to help you keep your home or business as comfortable as possible at all times. Our professionals specialize in air conditioning, heating, and indoor air quality services. The one constant in everything that we do is our goal to achieve complete and total customer satisfaction. When you hire our professionals for your heating and cooling needs, you can rest assured knowing that you made the best choice for your home or business. Our locally owned and operated company always strives to form long lasting and mutually beneficial relationships with all of our customers. Through the exceptional results that we achieve, our team conveys the fact that you can always trust us with your present and future HVAC related needs. Call Precision HVAC today if you need to hire a professionally licensed heating and air conditioning contractor in Dutchess County. Our staff is always available to assist you with any HVAC emergency. Our experts are ready and eager to take your call, to answer any questions that you may have, and to schedule your appointment today. As a property owner, you have an obligation to keep your air conditioner operating in the most efficient and effective manner at all times. Far too often, people fail to realize that their HVAC systems require routine maintenance in order to be kept in optimal condition. 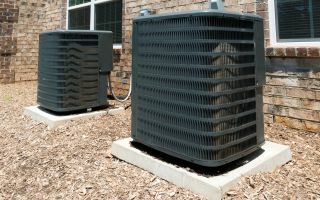 The best way to stay on top of your routine AC maintenance responsibilities is to develop a relationship with a professionally licensed air conditioner. At Precision HVAC, our Dutchess County home comfort technicians specialize in routine air conditioning tune up services. Our heating & air conditioning experts will inspect your entire HVAC system in order to find the every issue that is present. We can repair these problems on the spot. By keeping your air conditioner well maintained, you save money in both the short and long term. If you need to hire a professionally licensed heating and air conditioning contractor in Dutchess County, call Precision HVAC today at 845-399-0669, or fill out our online request form.